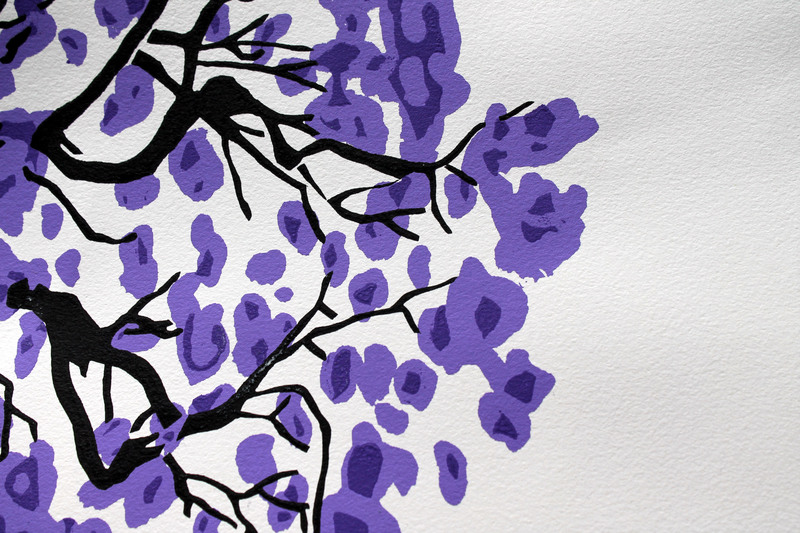 This week I have been working on a quilt that was inspired by the Jacaranda tree and in particular the silk screen print my brother-in-law did. The print has been sitting in my quilting room, waiting to be framed, and this week I thought the colours would work well for a quilt. I played with the idea of purple with black & white fabrics, but felt I have been overusing my b/w stash. Instead I went with greys and choose a pattern that reminded me of a tree (but ended up looking like an arrow!). The end result of my test run was this collection of blocks. I think I am going to have fun with this one. I have made some grey/grey blocks and some purple/purple blocks and can not wait to start playing with some random layouts. My husband wanted me to put some order into the layout – he is a science geek and loves there to be pattern, even if it is hidden. Me, I love random when I can get it. I think that is why I love scrap quilting so much, it allows for random in amongst the pattern. The pattern is a free paper piecing pattern from Christine Thresh which can be found here. I just pulled the gif from the site and sized it up in Photoshop. I also managed this weekend to finish a couple quilt tops that I had lying around. The first one is the 1001 Peeps top I started a last week. It was quick, easy and fun to make. Now all I have to do is quilt it and bind it. The other top I finished was not so quick and easy… I have been trying to finish it for weeks. It was a little more fiddly than some of my other patterns but worth the effort. I still have to pull all the paper off the back but I have trained my husband up to help with this process, so it should be quick. I am trying to train myself to not start a new project until I have finished one of my old ones. The question then becomes, does finishing a top count or do I only count quilted and bound projects? Love it, I will show Rich. You will have to let me know what he thinks. I really do love his print. Your are so right. I am not sure why I did not think of it but next time I will do a different fabric for the trunk. Thanks. You’ve matched the fabric colours really well with the colours of the tree. It’s interesting to see the colour choices people use, yours are so different to mine. I’ve been trying to choose different colours but always seem to go back to a similar style. Thanks Julie. I like the idea that a quilt top finish counts because I already have my next quilt top idea….. I am desperate to do a medallion quilt! I love the black, grey, & purple combo. Love your 1001 Peeps quilt! Love the purple and grey – just gorgeous! 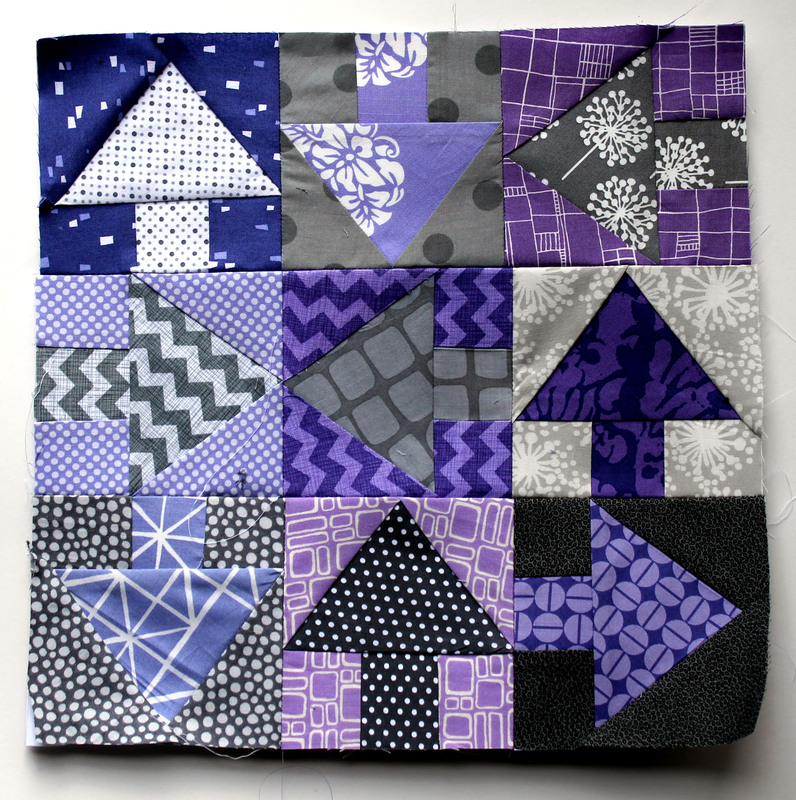 The purple and gray is just beautiful and I am totally in love with that 1001 peeps quilt top! I love the purple and grey together! Turned out so pretty. 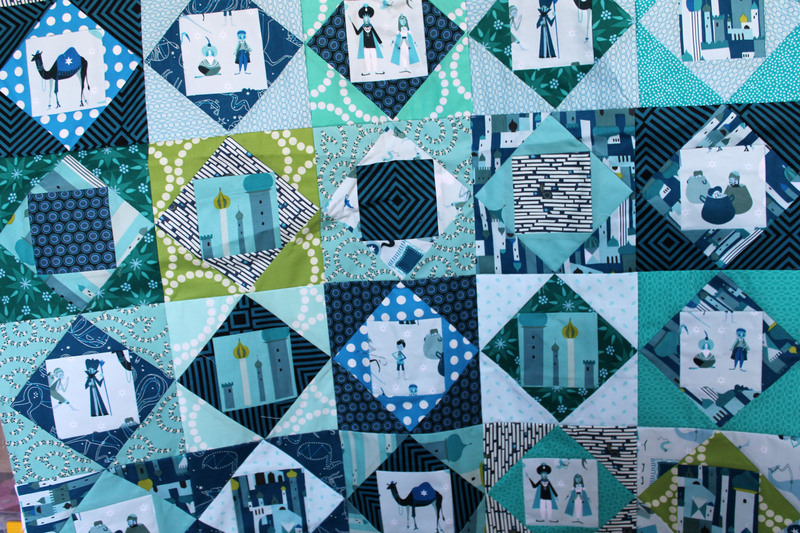 And the 1001 peeps quilt, oh man I loves those colors and fussy cuts! I only count quilted and bound as finished. I don’t like to tie up my mental space with a quilt top to store! 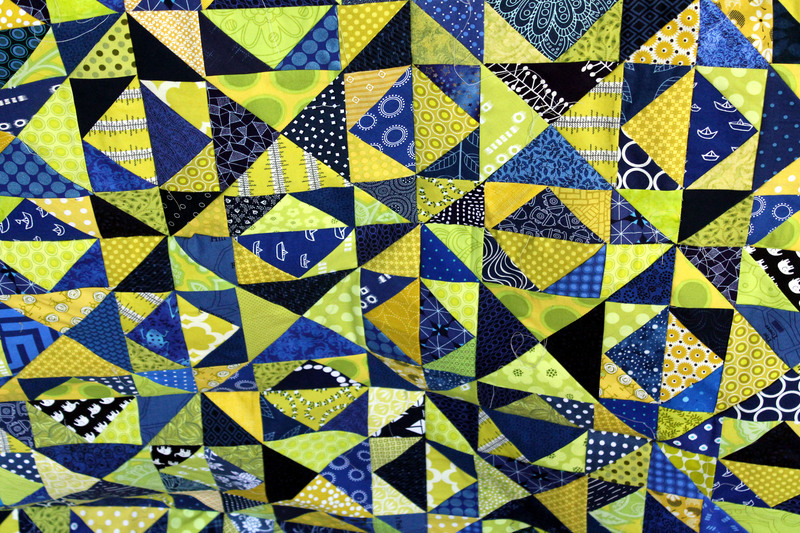 Plus the quilting is my favorite part, so I’m always happy to get to that part. Alas not a superwoman… just someone who finds themselves unemployed after many years of 16 hour days. I can not sit still… i have to be doing something and quilting is my something. Our jacarandas haven’t blossomed yet, but their bluey-purple blossoms are a favorite of mine (I live in Southern California). I love the print and love what you are doing with your quilt. Carry on! Fun to see your other projects, too. I’ve made a 1000 Peeps quilt (for a DIL) and I am always amazed at how Lizzy House fabrics just capture the imagination. Your quilt looks fabulous! ooh, i am not really a purple person but that arrows quilt is fab! makes me want to give it a try. I love the lizzy house quilt! So adorable! So what if they look like arrows instead of trees. That is what attracted me to your quilt. The randomness of the arrows is very appealing. Love the peeps, too. Wow!! Lots of wonderful projects 😉 Really loving the purple/gray and teal/blue/green colorways for the first two quilts. Beautiful! What a great blog. So glad you stopped by my blog and enabled me to find yours. Do you have a pattern for the Jacaranda block? It would be perfect for a little boy quilt I need to make. Yes Paper pieced is fine. It’d be lovely to have the pattern.